DO NOT FREEZE THE WHOLE BANANA, you’ll have a heck of a time blending that beast. Peel the bananas and slice them up into 1/4 to 1/2 inch thick disks. 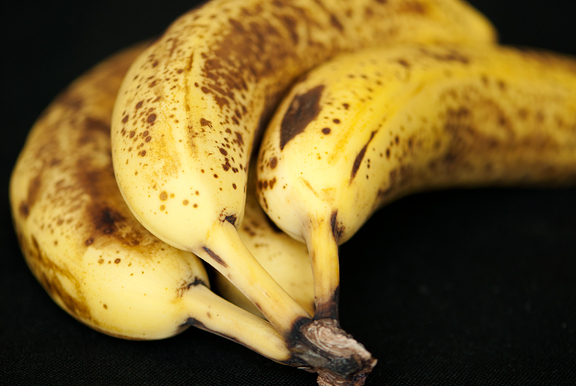 Place the banana slices in the freezer for about an hour or until they are frozen solid. Put the frozen slices in a food processor and pulse. First they will start to resemble gravel, but keep going. The bananas will soon turn into a frozen mush – at this point, start scraping the sides down (you will do this a lot). Or you could add a dash of milk since the liquid will help the blending. I’m lactose-intolerant, so after a few minutes of stopping to scrape the sides down, the banana begins to blend into a creamy texture. 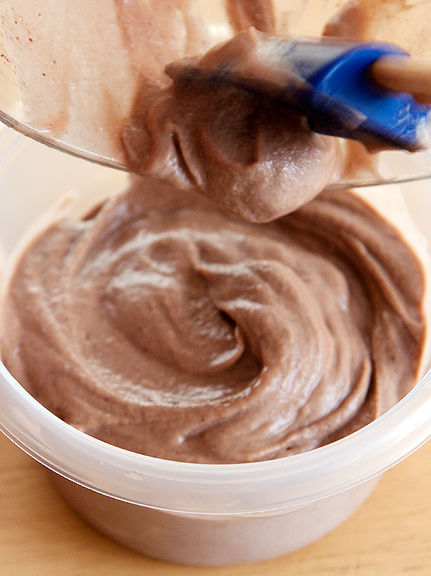 When the bananas look like whipped ice cream, you can add your mix-ins like peanut butter and/or cocoa powder, chocolate chips, toffee, raspberries, anything goes! Straight out of the food processor, the ice cream is like soft serve. You can also freeze it for a firmer texture. I find it’s pretty hard (and therefore, brittle) when I scoop it immediately after removing it from the freezer. Just give it a minute or two to soften up. Makes a pint.